Ah, April Fools’ Day. April 1st is a day where not much is as it seems and a good ‘gotcha’ is the ultimate reward. 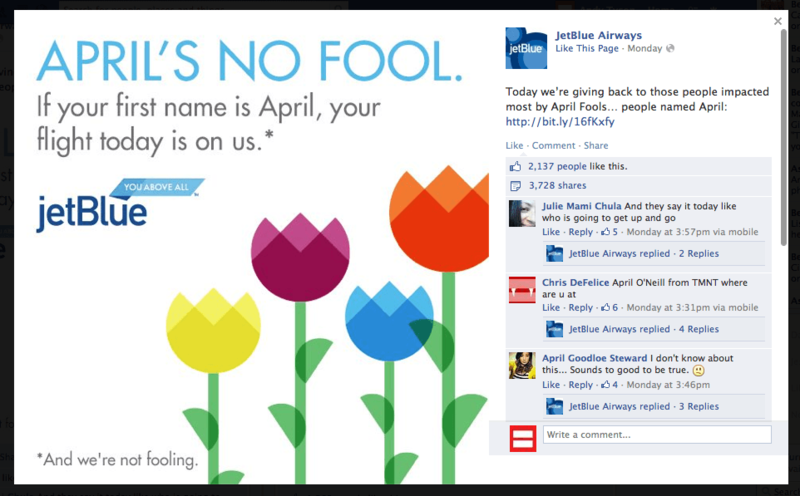 While there were many good brand generated April Fools’ jokes, JetBlue stood out for its unique and rewarding approach to the holiday. Proclaiming that, “April’s No Fool,” JetBlue gave back to those most impacted by the day – people named April. JetBlue offered people with the first name April who were flying the airline on April 1 a JetBlue credit equal to the value of their flight. JetBlue communicated its surprise offer in a simple, yet eye-catching status update and linked back to the company’s BlueTales blog for more information. Embrace the Holidays: There are holiday occasions for almost every day of the year, some more obvious than others. Consider what holidays might be a fit for your company to celebrate and curate themed content to commemorate the occasion. Provide a Forum to Tell the Full Story: Instead of bogging down the Facebook post with tons of text, JetBlue leveraged its blog as a resource to tell the full story. 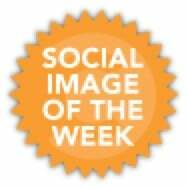 This is a great example of how a corporate blog can help support a company’s social media content strategy. Take the Path Less Traveled: While it’s easy to go with the flow on occasions like April Fools’ Day, being an innovator means blazing new trails. What’s your equivalent of the path less traveled?